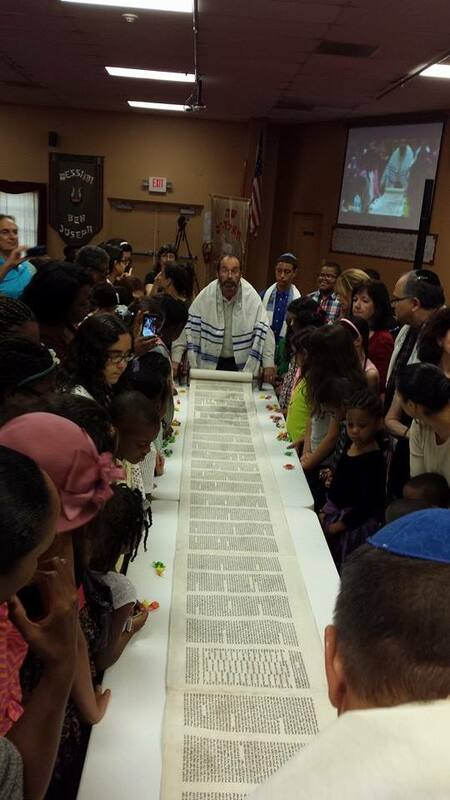 On Saturday our congregation celebrated Simchat Torah (the Joy of Torah). One might ask why believers in Messiah would celebrate the Torah? The answer is quite simple. Jesus is the Living Torah. This year was the second time I participated in this joyous occasion. But I’ve got to tell you, this year was better! For a week I basked in the amazing joy of dwelling in a sukkah and celebrating with God’s family. It was a glorious, joyful time that kept getting better and better. 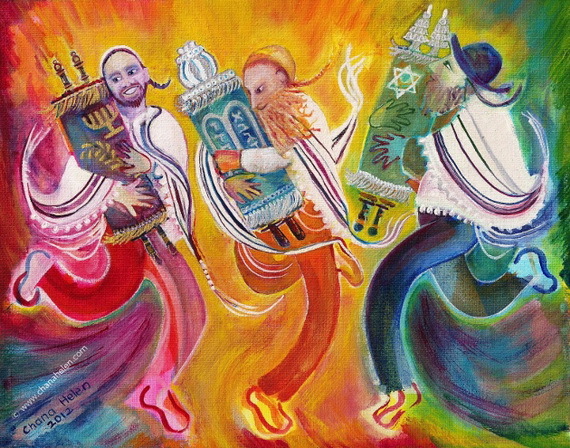 Joy was added to joy which culminated in the joy of Simchat Torah. To give a little background, Sukkot is a seven day festival celebration. It is a time that God commands us to dwell in booths – a reminder of the wanderings in the wilderness. This was a time that all Israel was totally dependent on God. Think about it – God’s visible presence was right there with them in the cloud and the pillar of fire. There was no guessing whether He was a part of their everyday life. They could see the evidence of His presence every day. He even fed them and gave them water daily. Shemini Atzeret/Simchat Torah follows Sukkot. Simchat Torah is the conclusion of the Torah scroll then rerolling back to the beginning as we read, “In the beginning, God.” What joy there is in knowing that God is present in and through everything! His Word is eternal, never-ending, and His presence evident in all of creation! In a similar way, I was very much aware of God’s presence during this festival. From the building of the sukkah, to its coming down, and everything in between, God’s presence was palpable. And the joy experienced because of this is indescribable! Paul talks about going from glory to glory. This Sukkot, I experienced going from joy to unspeakable joy! This joy culminated in the celebration of God’s Word with His people. As believers in Jesus of Nazareth, we celebrated the Living Word dwelling with us. Now, it is the custom of our congregation to celebrate the Torah on the first Saturday of every month. An elder parades the Torah throughout the congregation, led by the rabbi. Typically, children and some adults parade behind them while most of us stand in our places, clapping, and singing. But on Simchat Torah things are different. The rabbis and elders take turns dancing with the Torah while some of the congregation dances around them. Then they take turns making seven circuits around the congregation. This year something truly special happened. About the third time around, joy exploded. What started out as a normal procession ended with nearly everyone dancing and parading behind the Torah. People had their arms around each other, dancing and laughing. A friend grabbed me and I joined the jubilation. I, in turn, called to others that I didn’t even know. And on it went until just about everyone was out of their seat one time or another, dancing with the Living Word. My heart nearly exploded in my chest! By the look on everyone’s face, I knew I wasn’t the only one feeling this way.